Much of the allure that may have initially attracted you to the jewelry industry – like the rarity and high value of pieces – also pose unique risk to you as a jewelry store owner or independent jeweler. Because finished jewelry, precious metals, and gems are both highly valuable and portable, they are also easy to lose, difficult to replace, and often present themselves as a target to thieves. For these reasons and more, knowledgeable Maine jewelers secure peace of mind by obtaining industry leading jewelers’ insurance to protect themselves. These packages are created with specialized components designed to address various risks associated with the jewelry industry. Jewelers in Maine have trusted Child-Genovese Insurance Agency Inc. to deliver jewelers’ insurance with unrivaled value and service for over fifty years. Please contact us for a free Maine jewelers' insurance quote! 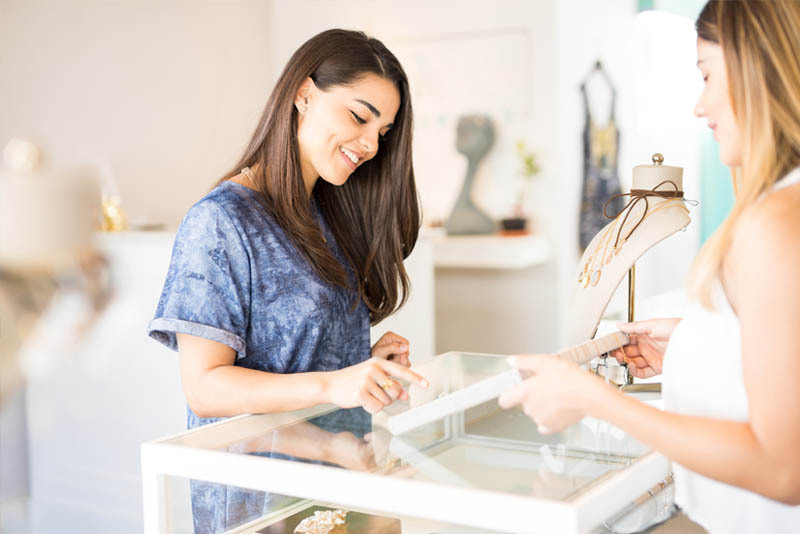 From a monetary perspective, jewelry stores stand to lose significantly more than other types of businesses in an event that compromises their inventory. We’ll be able to help you select an insurance package that will help cover a wide spectrum of inventory associated with your business. With a quality insurance package, merchandise that is in the safe, outside the safe, in your window, being shipped, or in a vault can be covered. Stock disappearance is another valuable component for jewelry stores and independent jewelers to help pay for unexplained disappearances. At Child-Genovese Insurance Agency Inc we have years of experience tailoring insurance packages to meet the specific needs of jewelers in Rhode Island. Contact us for a free quote today at (781)749-7566 or email our team today. Did you know that you can add protections to your jewelers’ insurance package to protect your inventory from fire, natural disaster, crime, travel issues, mishandled shipping and more? Stock disappearance coverage is even available to protect you from the cost of replacing an item should it become lost without explanation. At Child-Genovese Insurance Agency Inc. we can help pair you with a jewelers’ insurance package to meet address the unique concerns of your Maine jewelry business. Though many of the concerns of jewelry business owners have remained the same throughout the years, digital threats have relatively recently emerged as a leading concern for the jewelry industry. We have withstood the test of time at Child-Genovese Agency Inc. by adjusting to meet the present needs of professionals in the jewelry industry. To succeed in today’s jewelry industry, you need protection from hackers, scammers, spammers, and other digital threats. As such, we offer an industry leading spectrum of cyber security related and data breach coverages that can be included as part of your Maine jewelers’ insurance package. As members of The New England Jewelers Association, The Boston Jewelers Club, The Providence Jewelers Club, and MJSA (Manufacturing Jewelers’ and Suppliers of America) we can be trusted for industry specific advice for your jewelry business. When you decide it’s time to protect yourself or evaluate your existing coverage, give our knowledgeable staff a call us for a free quote today at 781.749.7566 or email us at info@cgiins.com.